Hello and Welcome to WTC Pest Control’s website. WTC Pest Control is a small independent company owned by Ivan Tabbernor. Ivan is British Pest Control Association (BPCA) qualified and has worked in pest control for over 20 years. Over this time he has built up a large amount of knowledge and specialises in mammals, e.g. rats, mice, rabbits, foxes etc. although he carries out all aspects of pest control including wasps, fleas, cockroaches, moths and flies. WTC Pest Control can offer you or your business a programme that is professional, safe and humane. Whether your problem is stinging and biting insects e.g. 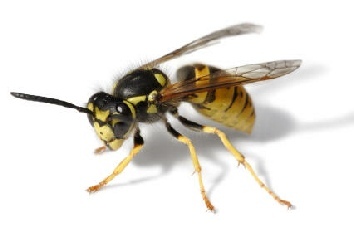 wasps, fleas and ants, or with rats, mice, pigeons and seagulls, WTC Pest Control will offer an effective solution. So, if you have a pest problem in a private residence or require a contract tailor made for your business, please give WTC Pest Control a call or simply send us an email. WTC Pest Control - your pest controller in the the Leek, Cheadle Stoke on Trent, Biddulph, Stafford, Sandbach, Stone, Eccleshall, Newcastle Under Lyme, Uttoxeter, Macclesfield, Congleton areas. WTC Pest Control works in the Leek, Cheadle Stoke on Trent, Biddulph, Stafford, Sandbach, Stone, Eccleshall, Newcastle Under Lyme, Uttoxeter, Macclesfield, Congleton areas.